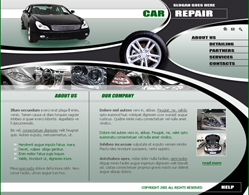 Free Website Templates Canada - Free HTML Templates Canada - Free CSS Templates Canada - Templates Calgary, Canada! 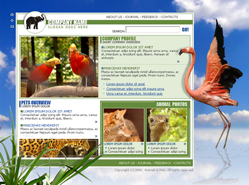 Free Website Templates Canada - Free HTML Templates - Free CSS Templates! Define Your Space with FREE Website Templates! Select your template from thousands of professionally designed template options at SKGOLD® Hosting and create a website that tells people who you are the moment they land on your page. More than 4,000.00 website templates with every webhosting plan. The old saying about pictures and words holds true today, with a new twist: one attractive, themed template may be worth dozens of words of copy on your website. The list of categories goes on, on and on... A template is nothing more than a pattern. You can think of a template as a pre-designed website – you just provide your own content and you’re ready to launch your site. Change the colors and even the images to produce a custom look that’s exactly right for you. You cannot sell and distribute templates for websites not hosted by SKGOLD® Hosting. The free templates are available only on servers in our Dallas datacenter. Our FREE templates are a great starting point for web designers of all skill levels. Are you just getting started? One click of your mouse lets you select the right template to create a sharp-looking page. Are you an old hand? Scroll through our templates to find new inspiration for your creative work. Get over 4,000.00+ FREE website templates TODAY! Below you can see some Free Templates samples. You will get access to all 4000+ free templates through your cPanel right after account activation. Buy Your Hosting Plan Now!